How many times have you seen a beautiful old house ruined by an unsightly addition? It takes a lot of planning--and restraint--to design and build an addition that integrates seamlessly with the original house. Let's examine three kit houses in Glen Ellyn that have additions and see how they were designed. There's no doubt that this house is a Sears Vallonia. Original porch pillars, railings, exposed rafter tails. But what's that at the top? Yes, there's an addition back there. The architect tried to hide the roof line behind the original dormer, but you can see it at certain angles. Preservation experts believe that a "perfect" addition would not be visible from the street at all. But this addition does not detract from the Vallonia, in my opinion. It is still a lovely bungalow that retains the original charm that was there the day it was built. This Vallonia was built about 1926. I think the original owners were William and Sara Hicks. William did "farming out of the state", according to the 1930 census. 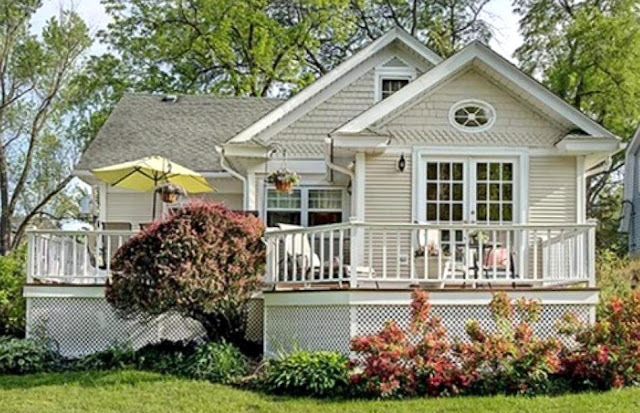 I will withhold the address of this house, but will say that the home is in North Glen Ellyn. This is a No. 1000 from Harris Brothers. It was arguably their most popular model in the Chicago area. There are two still standing in Glen Ellyn. Let's get the full view of the house. This addition was done in the 1990's and apparently the architect never considered how this house would look from the street. The "addition" is essentially a new giant house bolted on the back of the old one. An addition should complement the original structure and not detract from it. This house is clearly in violation of that principle--you barely notice the little bungalow next to the giant box behind it. An addition should be smaller in scale than the original house. 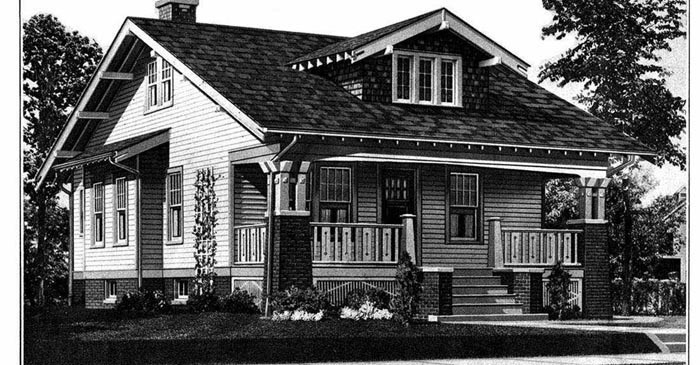 The architect should have tried to conceal the addition behind the original house, and not to dwarf the original house. 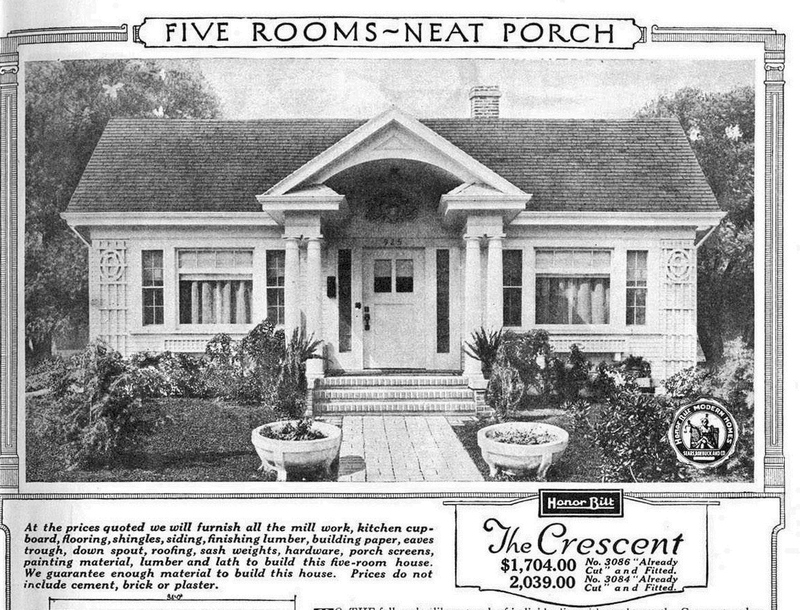 An addition should match the style of the original house. The addition is Colonial style and the original house was a bungalow. I suppose we should commend the owners for not demolishing the Harris bungalow outright. Here's the attractive rear addition not visible from the street. Bravo! Photo from Realtor site. The rear addition to this authenticated Sears Crescent is at the proper scale. 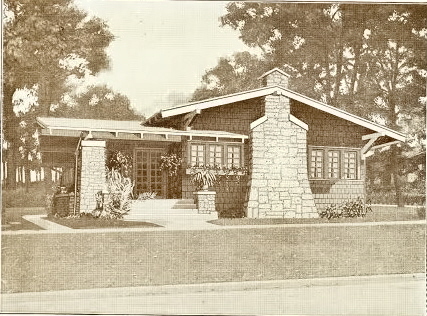 The house was built about 1926, and was landmarked by Glen Ellyn in 1993.